Wow! 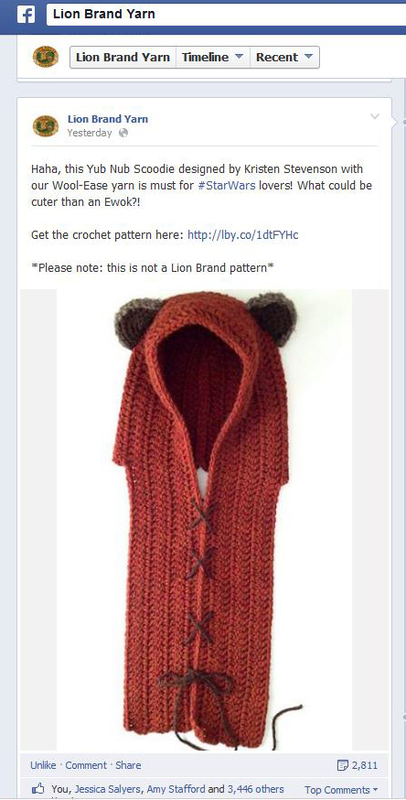 I am super flattered that Lion Brand Yarn featured my Yub Nub Scoodie pattern on their facebook page! January 16, 2014. Tags: ewok, facebook, lion brand yarn, star wars, yub nub scoodie. Stories. 5 comments.